Are you a holiday baker? I was more of one when my kids were young and liked to decorate—and devour—cookies. But there's one family favorite that I always make for the holidays—shortbread from my husband's grandmother's (most likely great grandmother's) recipe. My husband's Aunt Jean gave it to me. As a treat, I'm sharing it with you. Then mark the size pieces (leave the pieces on the cookie sheet!) you want with a table knife and prick each piece a couple of times with a table fork. (This lets the air circulate through each piece while the shortbread is baking.) Depending on how you make the pieces you can have 48 or more pieces on a cookie sheet. BAKE FOR TWO HOURS (2 HOURS) IN A SLOW OVEN (224 TO 235 DEGREES DEPENDING ON YOUR OVEN). Once the shortbread looks a nice golden brown and smells heavenly, remove from the oven and let the shortbread cool on the cookie sheet for 15 minutes. Then use a table knife to cut each piece on the already marked lines but let the shortbread finish cooling on the cookie sheet. I’m sure Aunt Jean added the following to the recipe: Once the shortbread is cooled, then you can put the cookie pieces in a zip-lock bag, a tight container, or even in the freezer. 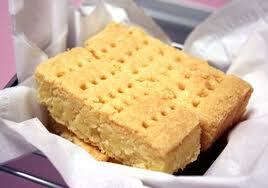 These shortbread cookies keep for a long time if sealed well and even longer if frozen. They're delicious with a hot cup of coffee or tea. Enjoy this Scottish treat for holidays or anytime. Cheers! Do you have a favorite Christmas cookie? Connor Donnelly in Holiday Homecoming does. It's snickerdoodles. Not any snickerdoodles. Snickerdoodles made by his high school and college love Natalie Delacroix's mother. Natalie Delacroix, the woman who turned down his marriage proposal on Christmas Eve their senior year of college for a news job in Chicago. Now, Natalie is back in Paradox Lake, NY, and Connor isn't as indifferent to her as he thought he was. And it uses lots of it! Jean, it looks delicious! I'm a horrible cook so anything I don't have to make is my favorite! 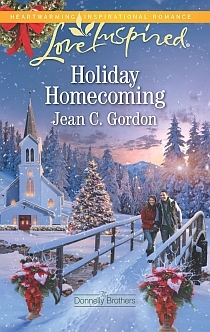 By the way, I loved Holiday Homecoming! I wonder if I could substitute some baking cocoa for some of the flour. My dh LOVES chocolate shortbread and I haven't found a good recipe yet.